— Lions president Tom Lewand: “On behalf of the Ford Family and the entire Detroit Lions organization, we wish to extend our deepest sympathies to David, John and the entire Modell family. 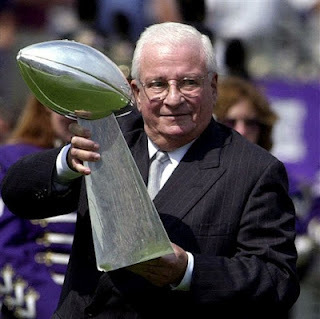 “Our game is what it is today in large part due to the exemplary ownership and leadership of Art Modell. “His work over the years with our first-ever collective bargaining agreement, numerous network TV contracts and the 1970 NFL-AFL merger helped propel the NFL to unimagined heights of popularity. — Lions owner William Clay Ford Sr.: “On behalf of my wife Martha, our entire family and the Lions organization, I want to extend our deepest sympathies to David and John and everyone who knew and loved Art.